After sketching up the outlines for the creature and laying down the base colours last night, the artist returned this afternoon to complete the piece. 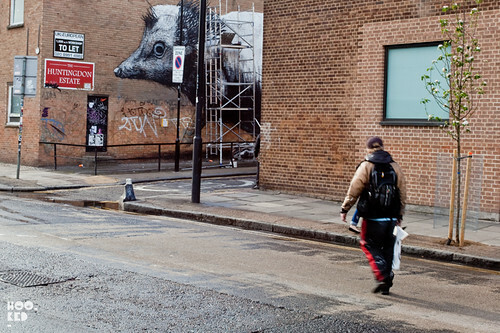 The hedgehog mural drew huge crowds throughout the day with new and old street art fans stopping to take pictures of the artist at work as well as having their photos taken with ROA. 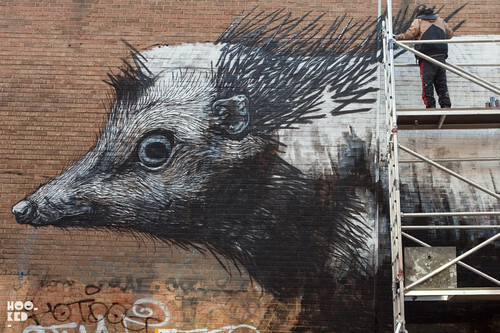 Working late into the evening this latest street art mural is almost complete with a small few pieces which ROA plans to finish in the morning before he leaves London onto his next adventure. 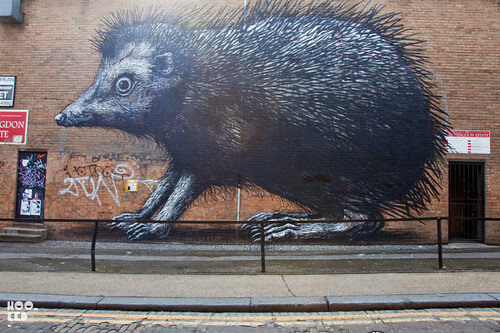 We think you will all agree that this is another fantastic piece from ROA and a great new addition to the streets of East London. 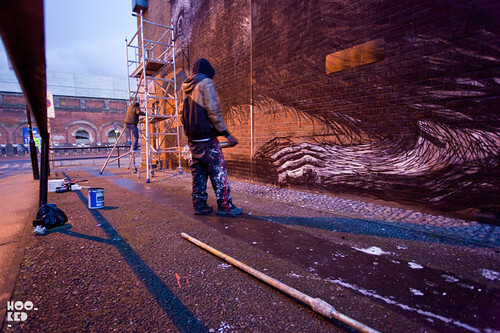 ROA at work on his Hedgehog mural late into the evening. That is the ugliest hedgehog I've ever seen and I've seen hundreds. I think this is totally rad. 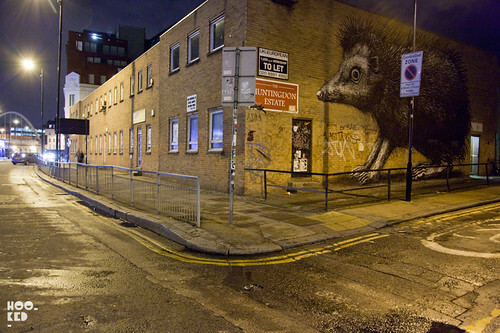 You have to remember, and I'm assuming here, that the idea of the artist was to create an urban caricature of a hedgehog and I think it's paid off. Shame it's eyes don't glow in the dark. 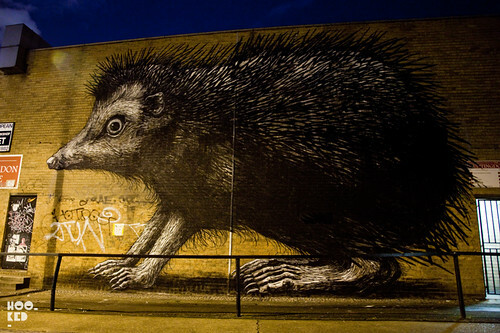 :-) Anything that raises awareness of hedgies is a good thing. 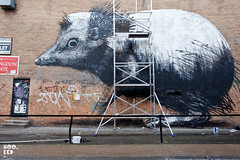 Hog publicity is good and the artwork impressive in terms of scale - might frighten children though!